Human Rights in China (HRIC) has confirmed the detention of Huang Qi, a leading Internet human rights activist, less than 60 days left before the opening of the Olympic Games. Human Rights in China (HRIC) has received information that police in Chengdu confirm the detention of Huang Qi, a leading Internet human rights activist, who was reported taken away in a car by unidentified individuals on June 10, 2008. Sources told HRIC that, on June 12 , the legal counsel of Huang's Internet company went to the police to check Huang's status and learned that Huang was detained and that the legal procedure notice would be sent to his family soon. The police refused to disclose the grounds for his detention. At the same time, the police reportedly summoned Huang Qi's friends, as well as petitioners who had sought help from Huang Qi's Tianwang Human Rights Center (http://www.64tianwang.com). "With less than 60 days left before the opening of the Olympic Games, the Chinese authorities' ongoing crackdown on rights defenders and activists, further undermines their image and the official goal of building a harmonious society," said Sharon Hom, Executive Director of Human Rights in China. "In the midst of a national disaster, Huang Qi acted as a concerned citizen. He sought to understand the situation and traveled to the disaster areas on numerous occasions to provide aid to the disaster victims. In this critical time following the tragic Sichuan earthquake, the authorities should be welcoming the mobilization of the whole society to act together to address the urgent needs of the victims." Sources inside China said that on the evening of June 10 ,, Huang Qi, Pu Fei, a volunteer for Tianwang, and Zuo Xiaohuan, a former teacher at Leshan Teachers College were missing after they were forced into a car by unidentified individuals. In the afternoon of June 12, Lawyer Xu, Tianwang's legal counsel, went to the Jinyang Police Station of Chengdu to file a missing persons report. The police reportedly told Xu that Huang Qi has been detained, and that the related legal procedure notice would be sent to his family. However, the police refused to disclose the grounds for Huang's detention. Huang Qi's 74-year old mother, Pu Wenqing, a retired cardiovascular doctor, said that the family had not received any notice from the police over the past few days. Huang's mother also expressed concern that the authorities will understand that Huang Qi has only acted for the good of victims in Sichuan Province, and allow her son to be reunited with his family soon. Sources said that the police are questioning friends who had contact with Huang and petitioners who Huang had helped. On the afternoon of June 11,, the police questioned Huang Xiaomin, a member of the Chinese Pan-Blue Alliance, about a related Tianwang news report. Another long-time petitioner, Li Tinghui was also summoned because Tianwang had repeatedly reported news of her grievances. Huang Qi is an active rights defender in China. he established an Internet service company in October 1998 to help search for missing people, and launched a website called Tianwang Xunren (6-4tianwang.com) on June 4, 1999. Huang Qi's work and this website were widely reported by media for their work on helping find many missing people to unite family members. 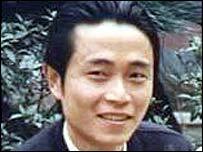 Huang Qi was arrested on June 3, 2000, and sentenced to five years imprisonment on May 9, 2003 by the Chengdu Intermediate People's Court for the crime of inciting subversion of state power. After he was released from prison in 2005, Huang Qi launched a website called June Fourth Tianwang to continue domestic rights activities, publish rights protection information, and provide assistance to vulnerable groups. On December 31, 2006, the website June Fourth Tianwang was renamed the Tianwang Human Rights Center (http://www.64tianwang.com). Human Rights in China urges the Chengdu authorities to immediately release Huang Qi without conditions and cease their unlawful harassment of rights defenders, and demonstrate to the international community by their actions a serious commitment to build a rule of law and a harmonious society.